New arrival! So Nice its in our Indoor Showroom. 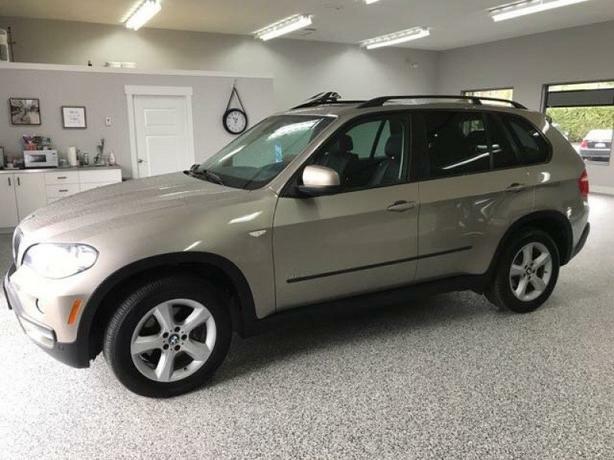 Very Well Maintained 2008 BMW X5 equipped with Power Heated Leather Driver and Passenger Seats, Heated Steering Wheel, Front and Rear Sensors, Panoramic Sunroof, Alloy Rims , Keyless Remote. Full Mechanical Inspection completed with new Rear Brake Pads and Rotors . This BMW X5 is a must see. . We are happy to email you the CarFax Report and Mechanical Inspection.